Rex Tillerson has called for strict social media check for applicants present in ISIS controlled areas. 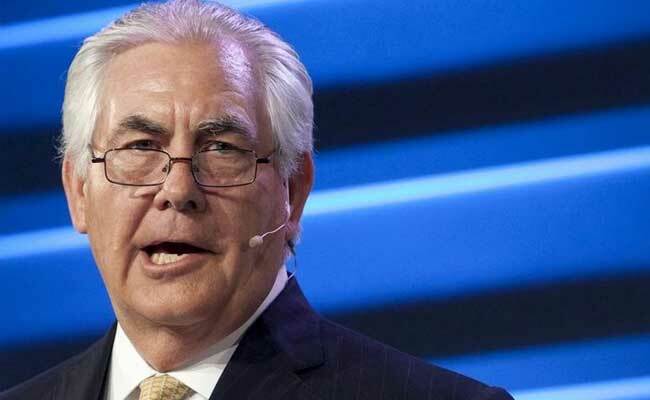 Washington/New York: US Secretary of State Rex Tillerson has directed US diplomatic missions to identify "populations warranting increased scrutiny" and toughen screening for visa applicants in those groups, according to diplomatic cables seen by Reuters. He has also ordered a "mandatory social media check" for all applicants who have ever been present in territory controlled by the ISIS, in what two former US officials said would be a broad, labor-intensive expansion of such screening. Social media screening is now done fairly rarely by consular officials, one of the former officials said. Four cables, or memos, issued by Tillerson over the last two weeks provide insight into how the US government is implementing what President Donald Trump has called "extreme vetting" of foreigners entering the United States, a major campaign promise. The cables also demonstrate the administrative and logistical hurdles the White House faces in executing its vision. The flurry of cables to US missions abroad issued strict new guidelines for vetting US visa applicants, and then retracted some of them in response to US court rulings that challenged central tenets of Trump's executive order. Some of the language in the cables, including the line that "all visa decisions are national security decisions," is similar to statements made by US officials in the past. Some consular officials suggested some of the March 17 guidance - aside from identifying particular populations and doing more social media checks - differed little from current practice, since vetting of visa applicants is already rigorous. Among the instructions rescinded by Tillerson were a set of specific questions for applicants from Iran, Libya, Somalia, Sudan, Syria and Yemen, the countries targeted by Trump's March 6 executive order, as well as members of populations identified as security risks. "There's so much social media out there," said Anne Richard, a former US assistant secretary of state in the Obama administration. "It's not something you can do on a timely basis."